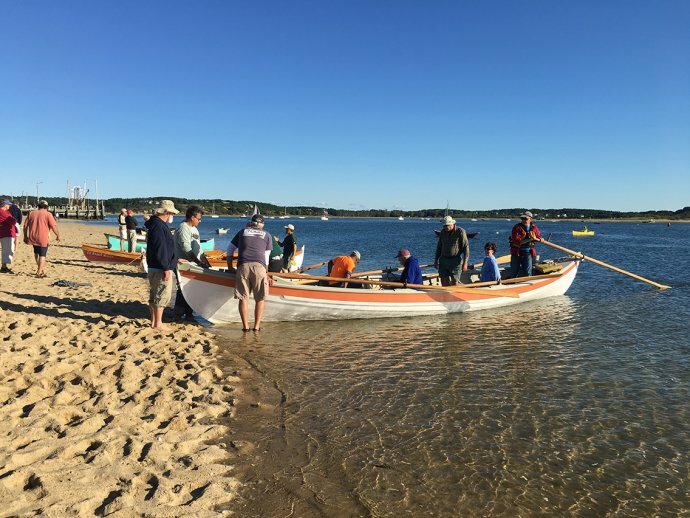 We are proud to announce the Sixth Annual Wellfleet Rowing Rendezvous, to be held Saturday, September 29, 2018, at Mayo Beach, Wellfleet, Noon to 4PM. The purpose of this free event is to promote rowing, and to be able to try and compare different boats . We will have boats to row, and you are invited to bring your boat for others to row. Last year we had 19 different boats. Boats can be launched for free from trailers at the boat ramp at the Wellfleet Marina, next to the beach, or hand launched at the Town landing right next to the commercial pier. Please bring PFD’s and an anchor for your boat. This event is free, but please register via email or phone if you are planning to attend. More details will be available as we get closer to the event.